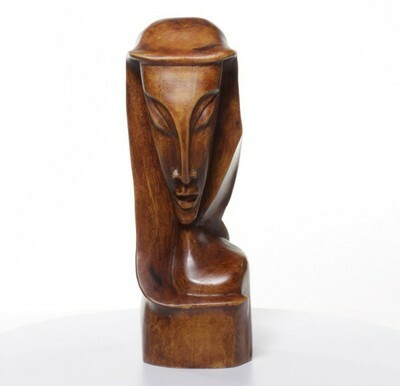 Finely polished, hand sculpted with Polynesian features, the Madonna bust give a sense of inner contemplation. Her downward gaze is both interior and focused. The artist leaves it to the onlooker to decide. The name "Claudy" believed to be the artist, is engraged in printed capital letters on the base.